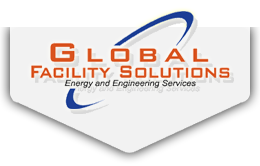 Global Facility Solutions offers commercial building services with a focus on providing customers with energy and facility solutions to help optimize building performance, reduce operating costs and deal with every day issues that plague commercial building owners and operators. Our customers are provided with a full range of services including Energy Auditing, Energy Retrofits, Retro-Commissioning Services, LEED Analysis, Engineering Design and Construction Management Services. Operating without product affiliation, Global Facility Solutions can make objective recommendations to our customers to effectively reduce their energy costs while improving overall occupant comfort. We work closely with our clients’ team to develop a full range of comprehensive facility solutions that are developed to match the specific needs of each individual client site. If you are interested in learning more, please contact GFS.